I know, I know, Hanukkah just ended, and it’s not even new years. So why am I bringing up Passover a full three months early? Maybe it has something to do with the news that you (yes, you!) could be spending your holiday of unleavened bread with none other than Tea Party golden-boy/crazy person, Senator Ted Cruz. Texas Sen. Ted Cruz, a likely Republican presidential candidate and a vocal pro-Israel hawk, is being advertised as a featured attraction at a string of ritzy resort vacation getaways catering to religious Jews. Cruz’s hawkish conservatism when it comes to Israel has made him a favorite amongst the AIPAC crowd. 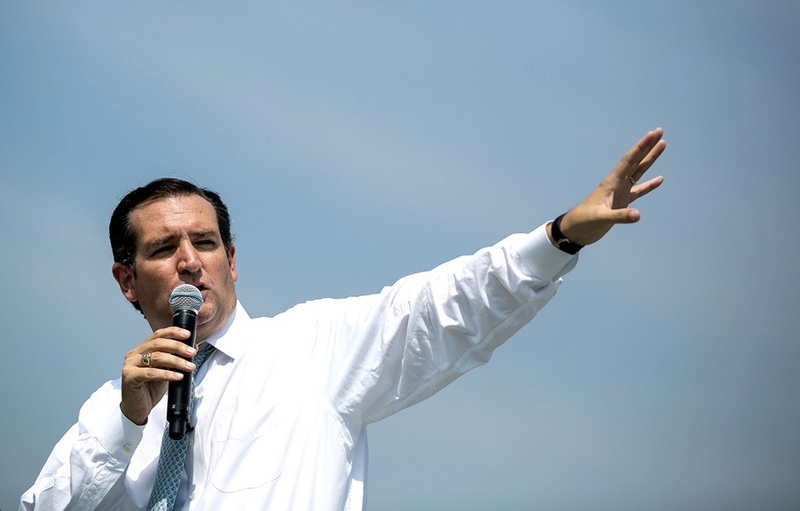 Given speculation regarding his political aspirations, it’s not hard to imagine Senator Cruz’s seder sit-down will likely include a healthy dose of “shoot first, and shoot anyone asking questions, later” Middle East foreign policy, as he looks to shore up Jewish support and donations for a possible White House run in 2016. On the domestic front, though, the Senator from Texas has gone on the record as an advocate of tripling border security, building a wall along parts of the US/Mexico border, and is against any and all pathways to citizenship for undocumented immigrants currently in the U.S.
Passover, for what its worth, commemorates the divine liberation of an immigrant people after a xenophobic leader denied them their basic human rights as residents of his country. Nicki Minaj, Stooge Of The International Jewish Conspiracy? I think the 11th Plague actually is Far-left nut,Barack Obama and Hillary is No.12…. They are not even runner-ups, individually or collectively compared to Ted Crazy and his rants. Whew! Including the leftist nuts writing the above article and comments.